Sideshow is X-cited (get it) to present the X-23 Premium Format™ Figure, joining the fight against the mutant-slaying Sentinels! 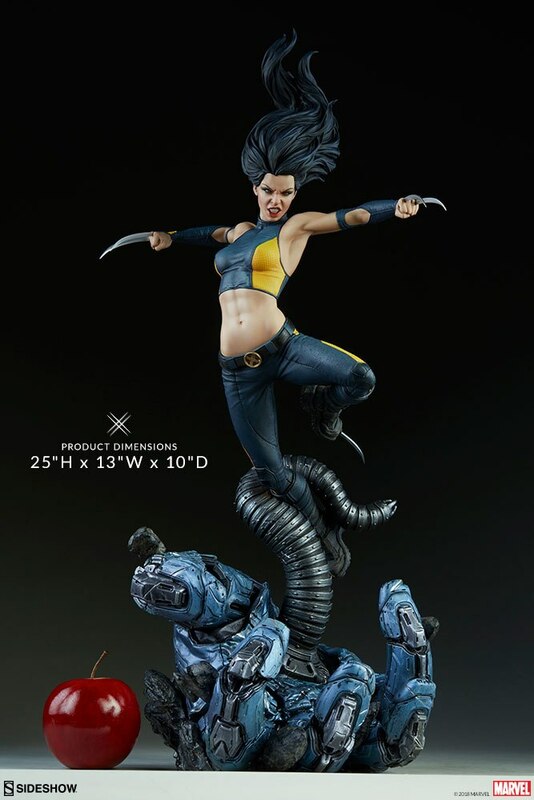 The X-23 Premium Format™ Figure stands 25” tall, as Laura Kinney leaps into the fray on top of a severed Sentinel hand base while a mechanical arm reaches up to grab her. 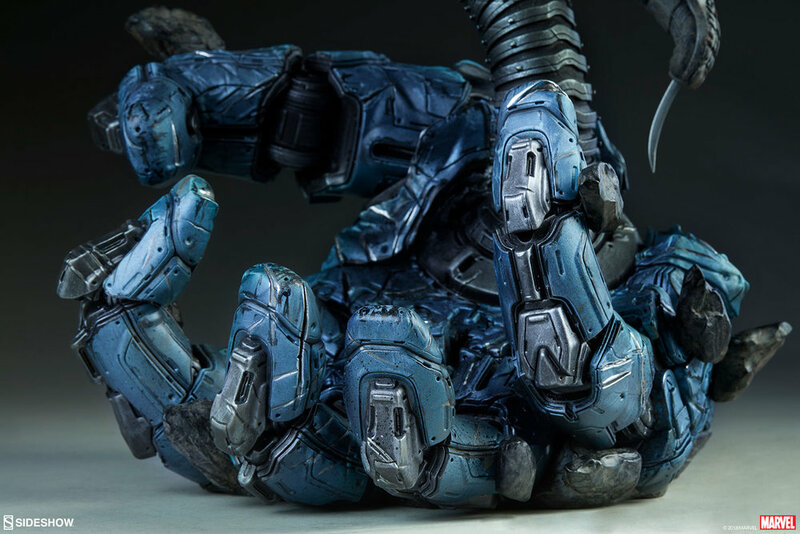 With a quick SNIKT, she’s ready to tear up her enemies with dual metal knuckle claws and her signature toe claw exposed. 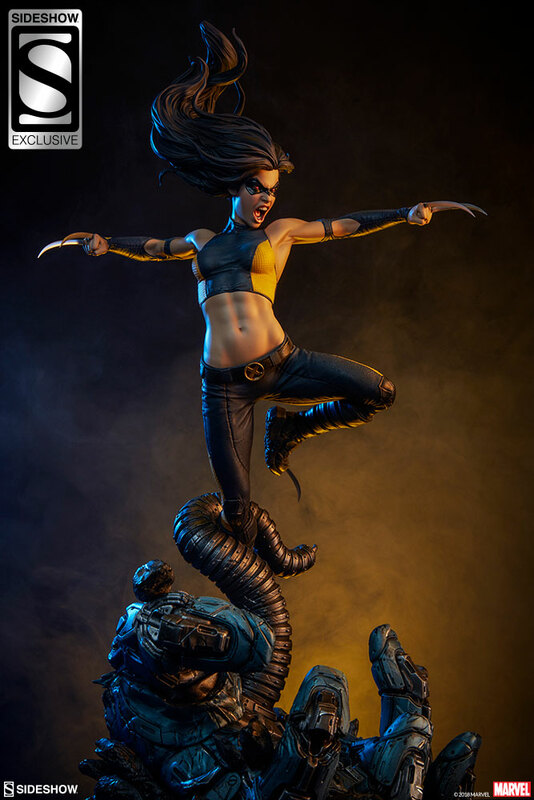 The polyresin X-23 Premium Format™ Figure wears a sculpted costume, with yellow and dark blue paneling detailed to mimic realistic fabric-like textures. Her costume also features matching gloves, a black belt with a red and gold “X” buckle, and boots detailed with “X” treads. 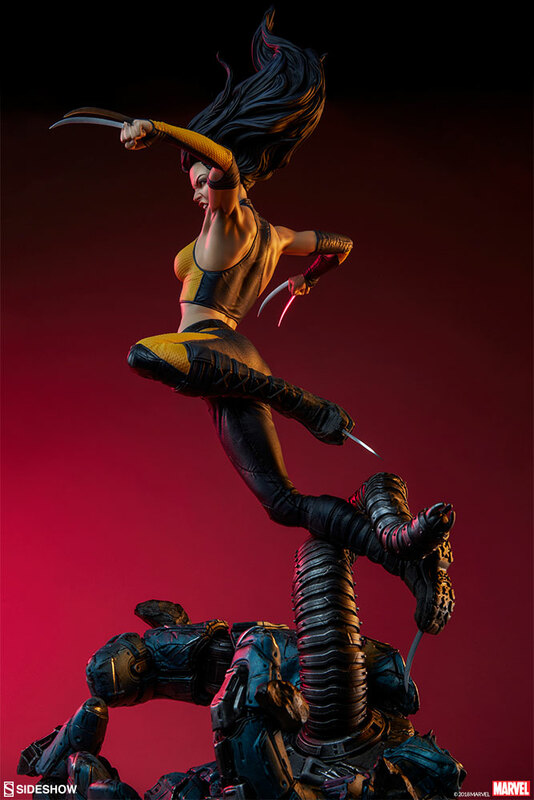 Like father, like daughter- as a part of Sideshow’s X-Men Collection, X-23 and the Wolverine Premium Format™ Figure's bases feature complimentary left and right hands, making these statues a perfect pair for your Marvel collection! Display her with the Magneto Maquette for an even bigger Sentinel scene, or with characters like Emma Frost, Rogue, and Mystique as a part of the assault on X-Mansion. 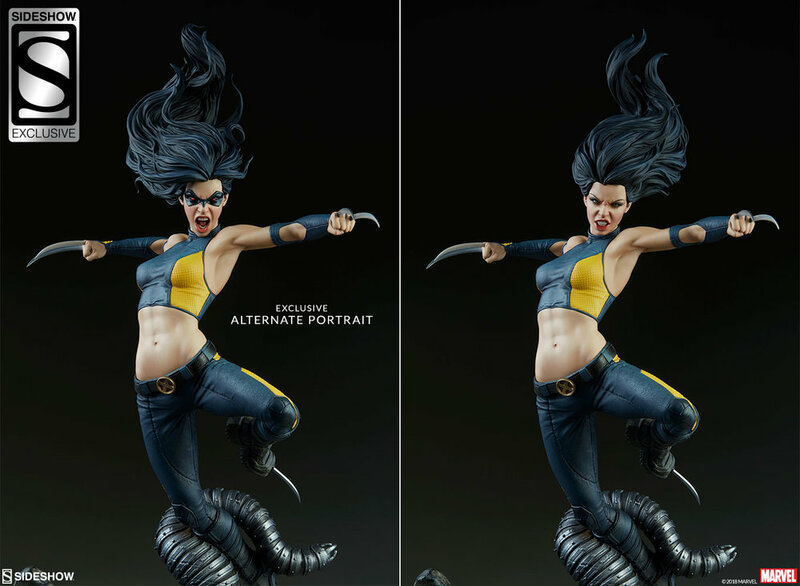 The Exclusive Edition of the X-23 Premium Format™ Figure includes an alternate masked portrait with a raging expression and red eyes. Unleash X-23’s frenzied fury with this action-packed additional display option.